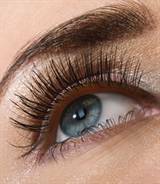 Hypotrichosis is the name for having inadequate or not enough lash, it also can cause brow hair to be sparse. Not caring for the lashes properly can also thin them, as can certain prescription medicines and dare I say so does the aging process! So, if you fall into one of these categories–or if you just think your brows and lashes are too thin–listen up. LashExtend by SeneGence is the newest, most affordable and safest product on the market to grow lashes, no prescription required! You can expect to grow lashes by 25% in two weeks and there are no harmful side affects. Use a lash growth product like LashExtend from Senegence (you can use it for brows too). Dye your lashes (At Star Brows, you save when you do tinting (I use a vegetable dye) of brows or lashes with a facial or brow waxing service). Learn how to curl or thicken your lashes without the extra chemical agents. (Try Shu Uemura Eyelash Curler) To curl your lashes, take your eyelash curler and place it at the root of your lashes. Hold firmly for ten seconds and release. If your lashes are stick straight, you can move up slightly away from the roots, repeating the curl. Use an eyelash primer. It conditions as it thickens. Get a mascara that is right for you. Decide between normal wear, water resistant, and waterproof . Don’t buy more help than you need. Get the one product that specializes/addresses the main issue for your particular lash type. Use a clean disposable mascara wand to un-clump and separate as needed after the mascara application. Brush the roots of your lashes back and forth a couple of times before sweeping through to the tips. Want thick, Red Carpet lashes? Quickly apply ten thin coats of mascara (yes, ten!). If you let it dry between coats, you’ll ruin the effect and have clumps. Quick strokes are the key. Choose the right color. Black lengthens, brown thickens. A fun look that will both thicken and lengthen your lashes is called minking. To mink your lashes, apply a coat of brown mascara. After that layer has dried, apply black mascara just to the tips of your lashes. Your lashes will look thick at the roots and phenomenally long at the tips. Use eye make-up remover. Even if your mascara is not waterproof, using soap or facial cleaners can wreak havoc on your eyelashes. The best eye make-up remover is oil-free, witch hazel is inexpensive and works well as long as you use an eye cream afterward – it’s drying. Using LashExtend will condition the lashes. Toss your mascara every three months, this is the longest shelf life any tube of mascara has. Note: You can temporarily treat hypotrichosis with Latisse, which is a drug used in the treatment of eye disorders. Their literature says that the eyelashes will go back to their former short/sparse selves within 1 month of discontinuing the product. There is also a risk of darkening around the surrounding skin which “may” go away after discontinued use, and the iris may have color changes as well, which will not reverse. Yeah, not a fan.